Multidisciplinary Studies on the Environment and Civilization draws on research from a diverse range of fields across the humanities, social and natural sciences to discover what is needed to develop an affluent, sustainable and resilient world for the twenty-first century and beyond. The contributions throughout this volume build and promote frameworks for an interdisciplinary approach to sustainability both in and beyond Japan. Utilizing research efforts from a broad range of fields such as zoology, biological anthropology and archaeology, these multidisciplinary studies are brought together to assess the impacts humans have had on the environment as well as the role of civilization, culture and heritage in environmental history. 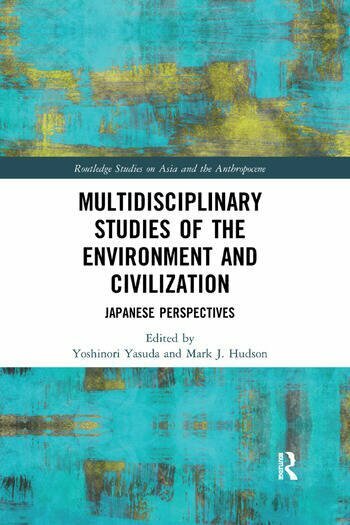 This book provides a truly multidisciplinary approach to environmental issues and will be of great interest to graduate students and researchers in fields such as climate, geology, plant taxonomy and marine science as well as those with an interest in Japanese history, archaeology, art and literature. Yoshinori Yasuda is the Director of the Museum of Natural and Environmental History, Shizuoka, Japan, a Professor at Ritsumeikan University, and Professor Emeritus at the International Research Center for Japanese Studies, Kyoto, Japan. Mark J. Hudson is Professor at the Mt. Fuji World Heritage Centre for Mountain Research, Shizuoka, Japan and a Research Associate at the Institut d’Asie Orientale, ENS de Lyon, France.